The First Comment based on my first wash was The SMELL! I washed my hair at 10am this morning and at 11.30pm the smell is still there. I had compliments on my "perfume" and when i told them it might be my shampoo and conditioner they were amazed and quickly asked by who. 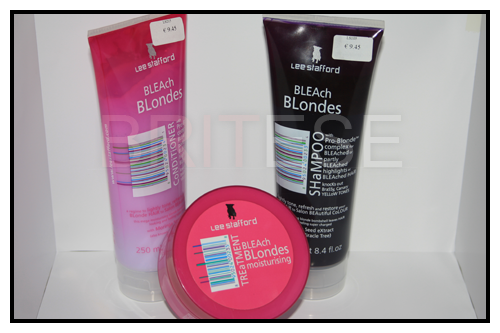 My Sister loves the Lee Stafford range, throughout the years i've seen here go through many different products and with that in mind i decided to go treat myself to a higher range of quality hair care since having bleach well.. my hair has felt a bit dull and dry. The shampoo and conditioner were sealed and protected with a silver seal to ensure wastage wasn't a problem. 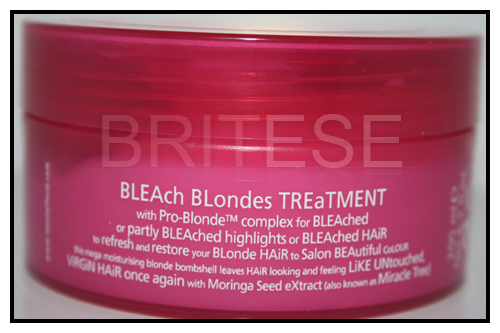 Has PRO-Blonde complex BLEAched or partly BLEAched highlighted or BLEAched HAiR knocks out Brassy, canary yellow tones to lightly tone, refresh and restore you're blonde hair to salon beautiful colour. this mega moisturizing blonde bombshell leaves hair looking and feeling super charges with Morninga Seed Extract also known as Miracle Tree. 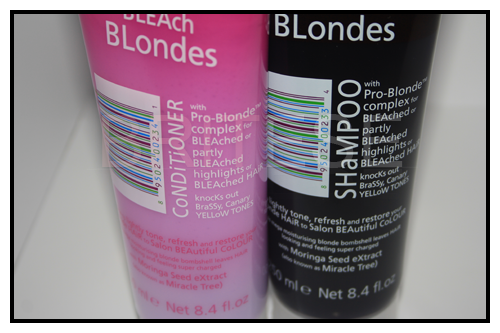 Shampoo: a purple shampoo and is advised not to use daily. Conditioner: Makes the hair so soft, do not need much product but enough for the whole head. 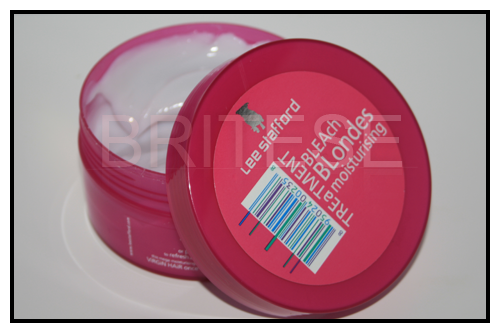 Treatment: Works like a dream, keep it in for 5 minutes and you've got healthy looking hair feels so soft i was amazed.